The state’s water-safety initiative, SPLASH, aims to greatly reduce the number of water-related deaths and injuries. Prevention – Wear personal flotation devices (PFD or life jacket), install fencing around pools, and use drain covers in hot tubs and pools. Life jackets save lives – Wear them and be sure your children do. Have a Water Safety Plan – Know what to do during a water emergency. The campaign includes bilingual brochures, boat checks by law enforcement officers, public service announcements and videos, and social media messaging. The DNR is in the process of adding “loaner boards” with PFDs at public boat ramps and swimming areas, and these locations are being added to the Georgia Outdoors app as they are put into service. 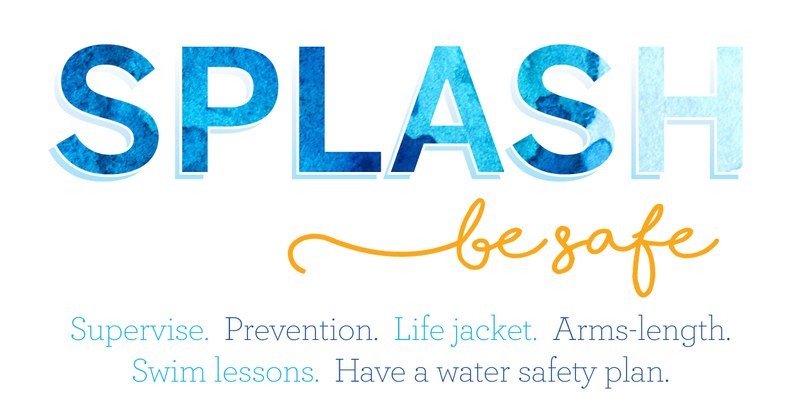 Initially launched by Georgia's First Lady Sandra Deal and her Children's Cabinet in 2015, the SPLASH campaign was re-launched in 2017 and currently has a number of public and private partners, including the Georgia Department of Natural Resources, Georgia Emergency Management Agency, Georgia Department of Public Health, Georgia Bureau of Investigation, U.S. Coast Guard Auxiliary, U.S. Army Corps of Engineers, National Association of State Boating Law Administrators, Georgia Power, Shepherd Center and others. Files in the SPLASH Toolkit may be downloaded or viewed by anyone wishing to present water safety information to a group or class of any age. No permission to download is necessary. The goal of this initiative is to save lives. That is accomplished by getting the safety information to the masses. We do ask that if you use the material, let us know by clicking SPLASH GA Facebook page and making a comment on the page. More materials will be added to the toolkit as they become available. Click PowerPoint Presentation - to save presentation to your computer or device. Please see the PowerPoint Expansion Information below before using the PowerPoint. Click here for the PowerPoint Expansion Information - Please read prior to using the PowerPoint. “Wear It!” is the leading national safe boating campaign designed to meet the needs of the recreational boating community through its broad-based, multi-faceted partnerships. Through these alliances on a variety of national, regional and community-based scales, the yearlong campaign focuses on family-oriented and family-targeted education and safety awareness messages. The safe boating campaign places specific focus on life jacket wear, educating and informing the recreational boating public about the different life jacket options that are currently available, including inflatable life jackets. Click here for the Web site of the Wear It campaign.